Saturday, November 20, 2010. Cocktails at 6pm, Dinner at 7, Dancing til? Donation includes music, dinner, and soft drinks. Cash bar available. Adults $25 in advance, $30 at the door,. Teens $12 in advance, $15 at the door. Kids 12 and under $7. Music will be provided by "Turli Tava" Macedonian Band and guest musicians. Door prizes, 50/50 raffle and more! Milka has been on the air for more than 10 years now, volunteering her on-air time every Friday evening from 5pm-7pm. To acknowledge this amazing job, we celebrate with her and her family! 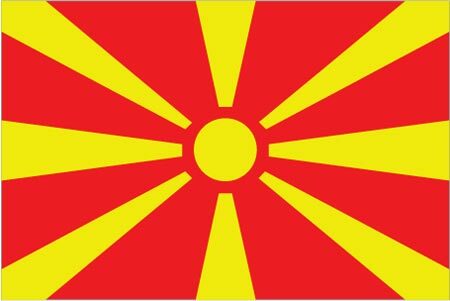 Submit your Cleveland Macedonian news and events. Promote and strengthen our Organization. The Macedonian Tribune is the oldest Macedonian newspaper in the world published continuously since February 10, 1927. 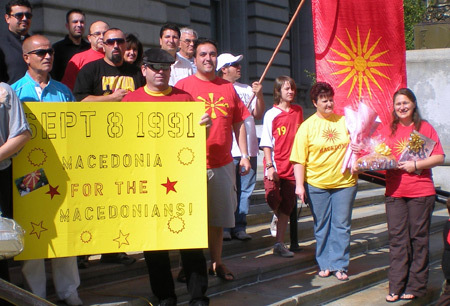 Submit your Cleveland Macedonian organizations and resources. Submit your Cleveland Macedonian jobs, classes and other opportunities. Tell us about the music, food, holidays, traditions, costumes, language and other qualities that make Macedonians so special. In 1995, Greece lifted a 20-month trade embargo and the two countries agreed to normalize relations. 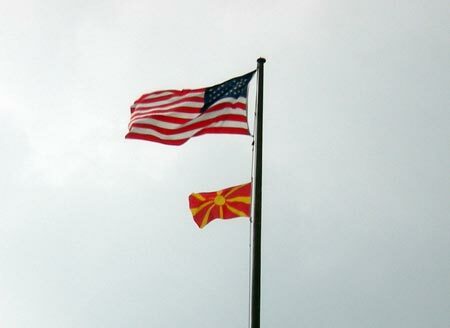 The United States began referring to Macedonia by its constitutional name, Republic of Macedonia, in 2004 and negotiations continue between Greece and Macedonia to resolve the name issue. 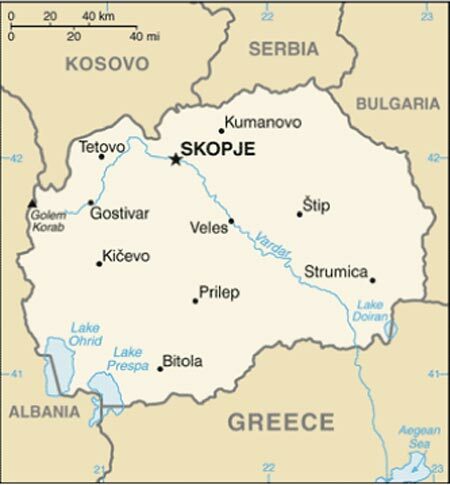 Some ethnic Albanians, angered by perceived political and economic inequities, launched an insurgency in 2001 that eventually won the support of the majority of Macedonia's Albanian population and led to the internationally-brokered Framework Agreement, which ended the fighting by establishing a set of new laws enhancing the rights of minorities. Fully implementing the Framework Agreement and stimulating economic growth and development continue to be challenges for Macedonia, although progress has been made on both fronts over the past several years. 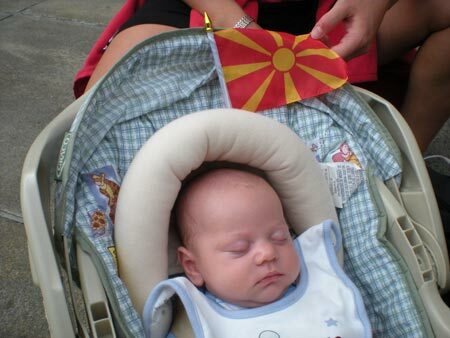 Submit your Cleveland Macedonian cultural items. 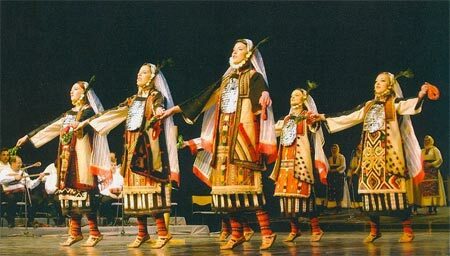 Ethnic Macedonian women dancing a traditional dance. 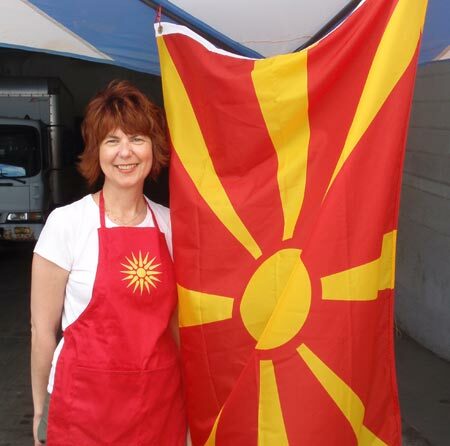 Read more about the Macedonian and other Ambassadors. If you are interested in being considered to be an official ClevelandPeople.com Ambassador to the Cleveland Macedonian community, please contact us. If you want to reach the Macedonian community in Cleveland and Northeast Ohio, please contact us.